Wackjob right wing media manufactures imaginary story – check. Story designed to activate reptilian fight-or-flight response in reality-challenged Fox News audience – check. Add Religious Bigotry. Flavor with racism. Serve cold. In an appearance on CNN Sunday, Frum cited claims made on Fox News that President Barack Obama was proposing a “new Christmas tree tax,” something that was found by both The Florida Times-Union and PolitiFact Oregon to be not true. With real Christmas trees slowly losing sales ground to the artificial kind, many tree farmers were counting on a new federal program to boost business in Michigan — the third-largest producer of real trees in the nation. They’ll have to wait at least another year. In early November, the U.S. Department of Agriculture announced a “checkoff” program to promote sales of fresh Christmas trees. Two days later, under attack by conservative bloggers and talk show hosts, the federal agency changed its mind. The program — similar to those promoting sales of beef, milk and other farm products — would have been funded by a 15 cent-per-tree fee collected from farms that sell 500 or more trees a year. The USDA had planned to appoint a board of industry representatives to oversee a “program of promotion, research, evaluation and information designed to strengthen the Christmas tree industry’s position in the marketplace,” the agency announced in the Federal Register. 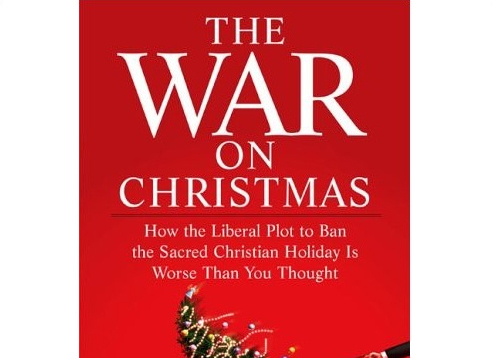 Rush Limbaugh called it “Obama’s Christmas tree tax” and part of the “war on Christmas.” After the USDA put the program on hold, Limbaugh claimed credit. The Agriculture Department isn’t killing the program, said Gwen Sparks, the department’s public affairs manager. “USDA will delay implementation of this industry-funded program to provide consumers and other stakeholders an opportunity to better understand its nature and purpose,” she said. Sound familiar? I thought so, too. Holy cow. I can’t believe my eyes reading this from Frum’s words. Frum is pretty traumatized by the Bush debacle and his role in it. Rare for a Repub, he has a sense of shame. Reminds me of that Woody Allen musical “I Love You So Much” (I think was the title). Features a teenage son of two progressive parents who is a mad-dog conservative. Just doesn’t add up. One day the kid passes out. Turns out he had some kind of blockage that kept enough oxygen from getting to his brain. Once this is repaired and he recovers, he becomes a progressive as well. Perhaps something of the same with Frum? Thank Fox News and the Tea Party if Obama gets a second term. Nominate Newt and it’s guaranteed. « Is Nero a Hero to Climate Deniers?